Blog posts tagged "Bell & Ross"
Amidst all the classic Patek Philippe & Audemars Piguet references added to our database, here’s something different: the 2016 Bell & Ross BR 01 92 Burning Skull. The Bell & Ross BR 01 92 ‘Burning Skull’ was shown to dealers and journalist at BaselWorld 2016, but it was under embargo until recently. 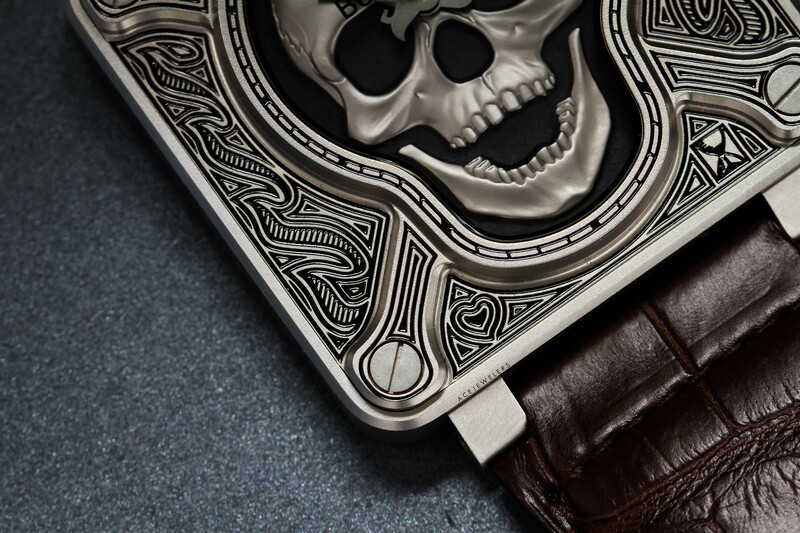 This new version of Bell & Ross’ iconic ‘Skull’ range features a micro-blasted stainless steel case with tattoo-style engraving on both the bezel as well as the sides. The engravings are hand-filled with black lacquer for optimal contrast. A limited edition of 500 pieces, the Bell & Ross BR 01 Burning Skull comes with both a brown alligator and a ‘ultra resistant’ black synthetic strap. 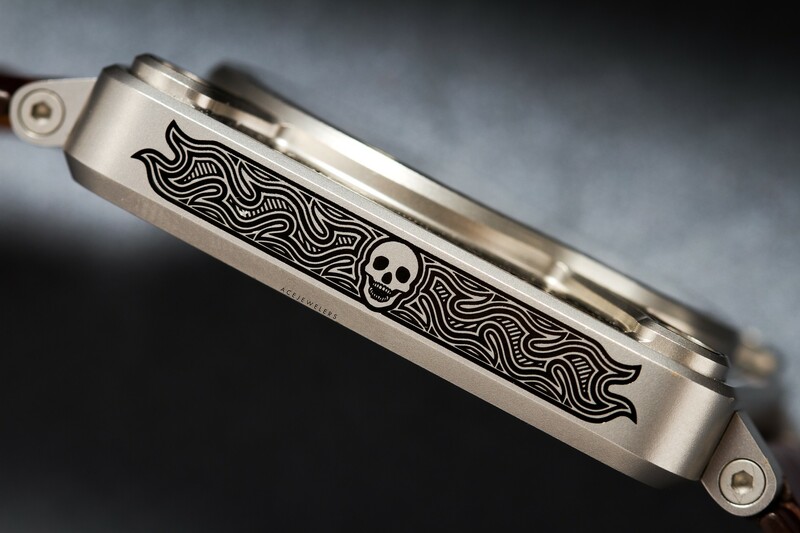 The Bell & Ross BR 01 Burning Skull is uploaded to our database including price, limited edition numbers and movement information. In the last couple of days, I’ve again added a huge number of watches and movements to our database. Also, a few smaller (though great 🙂 ) changes have been made by Alwin and Dion- both functional as well as some design thingamalingies. With the intend of keeping things interesting, both for myself as well as for you, I have been trying to find some kind of middle road between a high volume of easy uploads and unusual and indie watches. The former are mostly ETA-based brands, whose watches are quickly uploaded in bulk as they use standard (or moderately altered) movements already in our database – Hamilton, Longines and Bell & Ross come to mind. 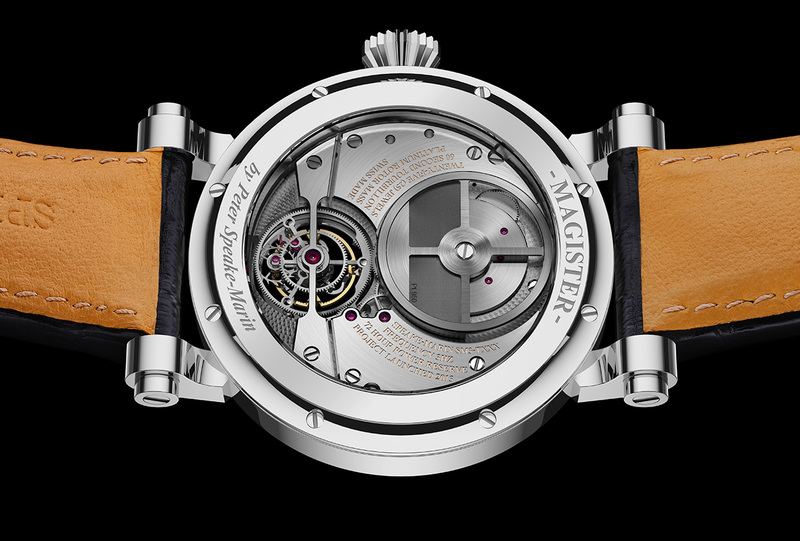 Others, like Vacheron, Patek, Lange, and Audemars Piguet, require custom movement uploads. It is however interesting to note that the info on these is readily available and very well sorted, hugely decreasing the time needed to sort out the information needed to fill all our fields. Patek and Vacheron take the reigns here, sorting their watches if desired by movement used, with full specs and info on all. 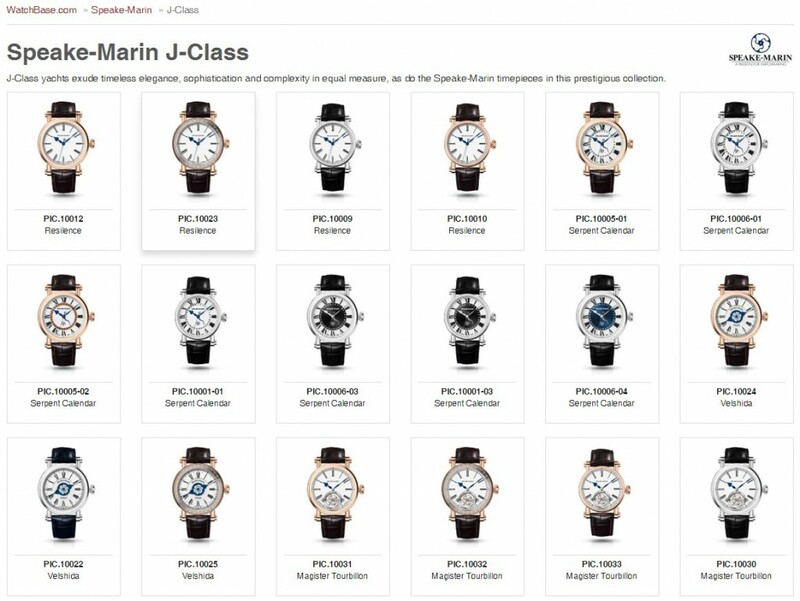 While I haven’t really taken on Vacheron yet, our Patek database is starting to be quite something – although most are from the current collection. Speake-Marin has been fun and I think only the Triad pieces need to be added from his current line-up. It’s a pity I can’t seem to locate pics of all his movements, but I applaud his open communication regarding the use of Vaucher movements. I’ve also begun to work on Lang & Heyne.. since we’re trying to add all, why not add a few unusual ones right at the start, right? Also, check out the Daytona page for a first taste of vintage. Alwin and Dion have been adding a new function to the Calibers pages, which shows what we’re after – clear and open information with as much cross references as possible. It is now possible to view which calibers use a certain movement as a base – get a taste of it at the ETA 2824-2 page. While obviously a lot more movements need to be added to make it truly interesting, it is already a fun feature. They’ve also cleaned up the Brands and Calibers pages – the lay-out is much more clear than it was before.